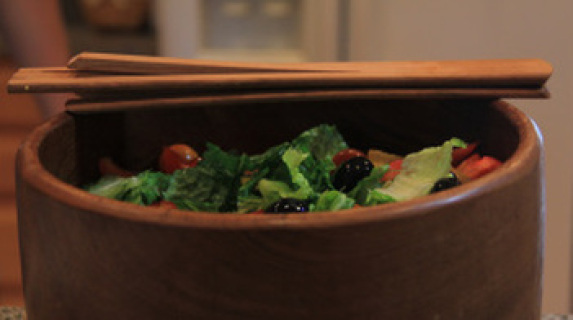 Black Ticking Dish Towel with Cherry Salad Tong. 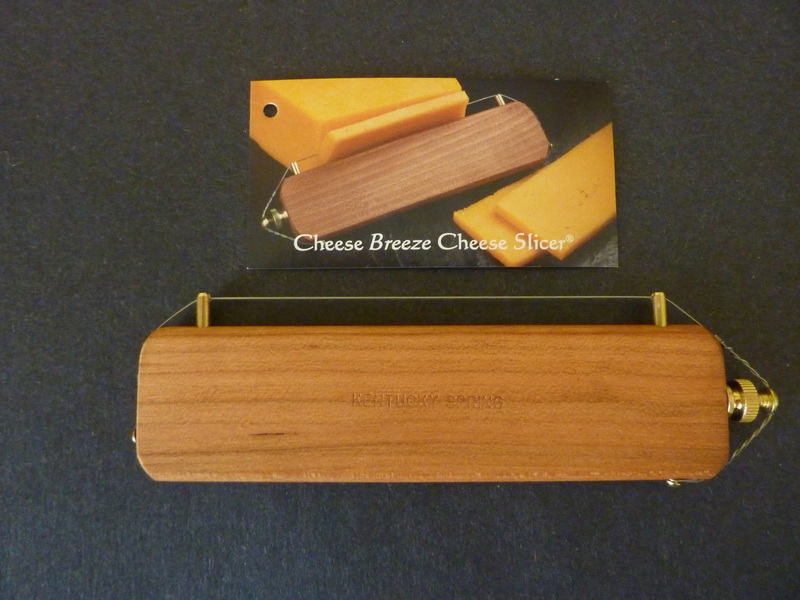 These cheese slicers are designed and crafted in Kentucky. 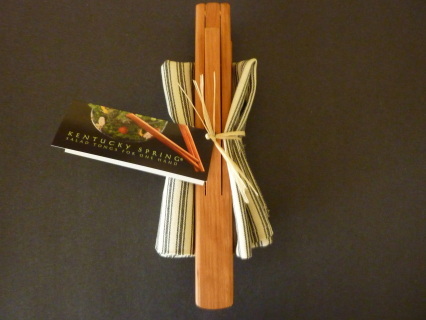 Makes a perfect combination gift with the salad tongs.